Instagram these days is responsible for the discovery of so many amazing things, including today's introduction to Grace Ciao, a fashion illustrator from Singapore. Yes, there are loads of fashion illustrators out there today, but there's something in particular that makes Miss Ciao one of a kind. 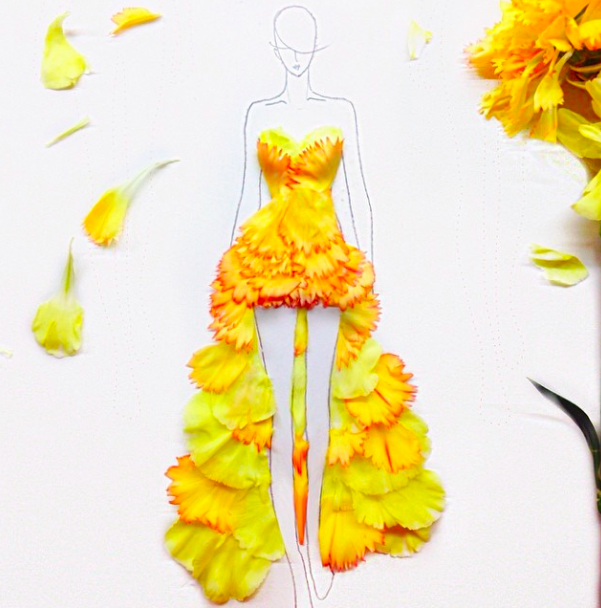 Instead of using your typical pen and pencil, Ciao creates her fashion illustrations using flower petals. Using everything from roses to carnations, no two flower creations are the same. 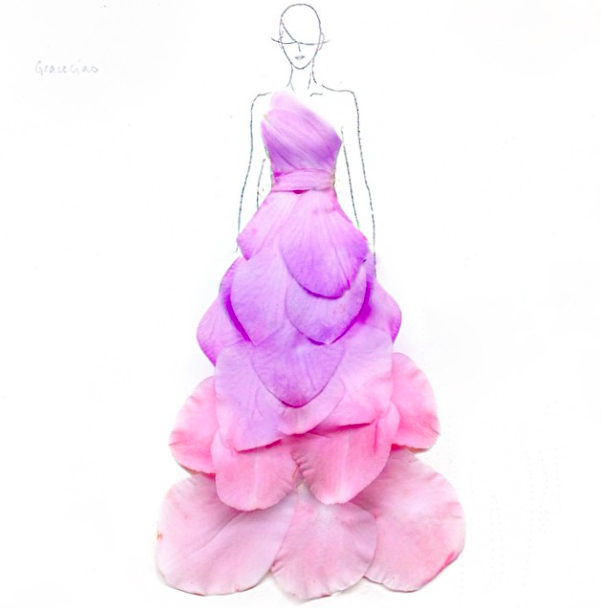 The petals make for the most beautiful and delicate textures that have us wondering if Grace Ciao won't find herself some funding for an actual label any day now. 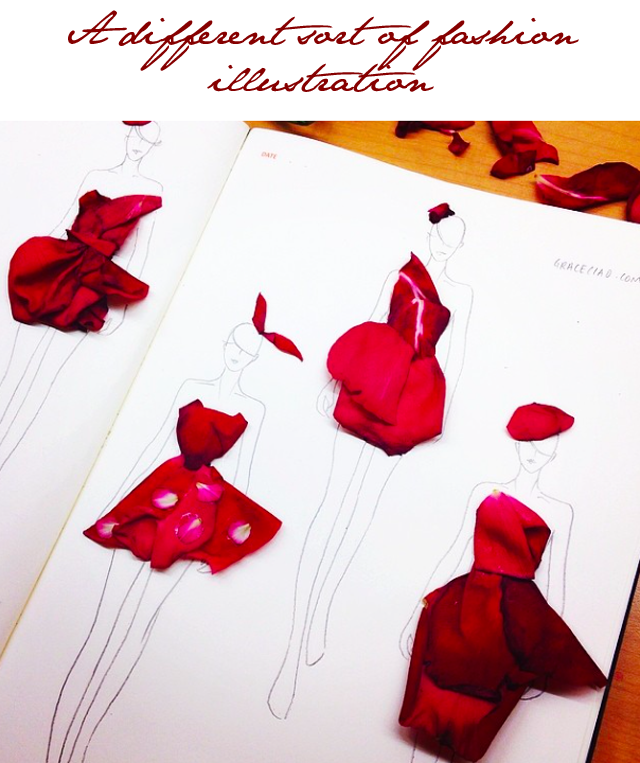 Here's a look at some of our favorite pieces from her collection of artistic illustrations. Make sure to follow Grace over on Instagram to see new creations as their posted.